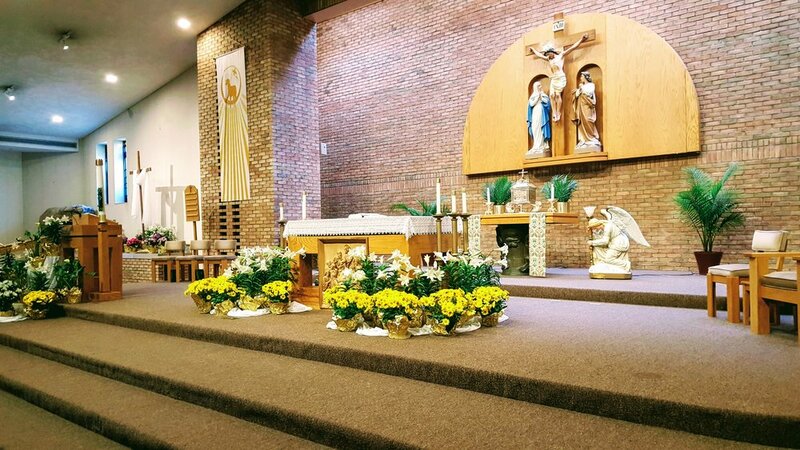 Every Thursday the Blessed Sacrament is exposed from 8:30am until the 6:50pm Benediction service, followed by 7pm mass. You are invited to come every Thursday to experience the wonderment of our Lord. You are invited and encouraged to sit in joyful adoration of the true presence of Christ in the Blessed Sacrament. Dwell on the reality that it is Jesus before you. Receive the abundant fruits He has to offer. He is patiently waiting. Time spent in adoration can be a real way to decompress from the day-to-day busyness of our lives.